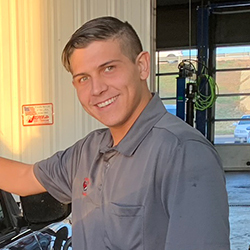 Aardvark Automotive got its signature mascot and name when Robert Archer ventured to start an auto repair shop in Amarillo and flipped open the dictionary for name inspiration. He got as far as "aardvark" and laughed at the idea. But, as we all know now, the name would stick-and lead us to the front of the pack, not only in the dictionary but also in the quality of service and automotive skill and experience. On January 15, 2017, Aardvark Automotive celebrated 37 years of service in the Texas Panhandle. Robert, himself, now has nearly 50 years of auto repair experience, with 34 of those years as a business owner. He is also ASE Master certified, with significant expertise working on high-end and import vehicles. Today, Aardvark Automotive is known as Amarillo's best dealership alternative for luxury cars. Our goal is to exceed our customers' expectations by considering their safety and well-being our top priorities while providing honest, prompt, and superior service. 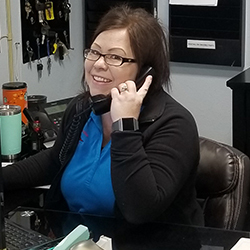 We understand the importance of keeping your family safe, and that your car is an investment, so we use the most advanced diagnostics and equipment to ensure your vehicle is repaired properly. For your peace of mind, all our work is guaranteed with our warranty, covering three months or 3,000 miles on labor and 12 months or 12,000 miles on parts. 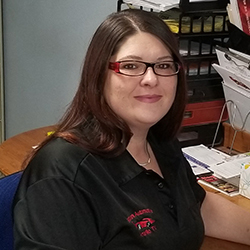 Come on in & Meet the Team at Aardvark Automotive! All the technicians and staff at Aardvark Automotive work hard to make taking care of your car easy and pleasant. We each bring many years of automotive industry experience to the table, so you can trust us to service your car with the utmost expertise and professionalism. 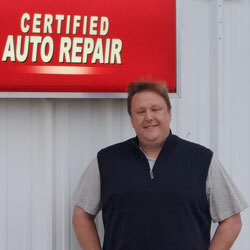 Brandon Anderson has 20 years of experience in the auto repair industry and is certified to write service. He has been to many service writing training courses, and his motto is "knowledge is power." 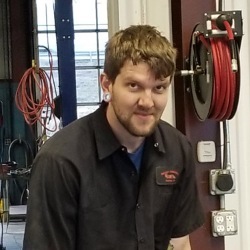 Brandon will welcome you to Aardvark Automotive with a smile and a warm handshake. Brandon and his wife, Renee, have three beautiful children, Sean, Madeline, and Luke. Together, they enjoy watching movies or swimming (in warmer weather.) The family has a strong faith and attends St. Thomas Catholic Church. They also counsel married couples for the Catholic Church through Retrouvaille Marriage Counseling. Donna has two boys Blaine 16 and Austin 14. In her spare time they like to camping and fish when time allows. 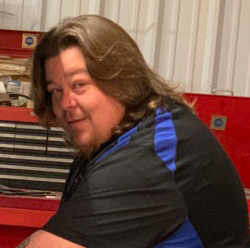 Jarred Cox is the newest technician at Aardvark Automotive. He and his girlfriend, Cheyenne enjoy spending time together when they are not working or going to school. His future goals are to complete his mechanical engineering degree. In his spare time, he enjoys snowboarding and helping others out.